Will the Economic Downturn Pinch The CFL at the Turnstiles in 2009? As the CFL get’s under way this month, it is remarkable to think back on what a different economic world we now see as compared to when the 2008 Grey Cup was awarded. Since November 2008, we have been bombarded by economic changes, none of them positive. The economy has continued to shed jobs, leaving industries like BC’s forest industry and Ontario’s auto sector in ruins. Consumer confidence, so robust just a year ago, has taken a beating. Recovery is coming, say economists, but it will be a slow climb back. This is an ominous development for the CFL, especially for a League that is still heavily gate driven. To date, though, neither team executives or sports media have really taken on the question of how this might affect League attendance in 2009. Like restaurant meals and vacations (two other sectors that have taken a beating recently as well) sports tickets are the ultimate discretionary spending item. Just ask Major League Baseball, who has seen their attendance dip 10% in 2009, and Major League Soccer, who have also seen attendance drop sharply. In the minor leagues of baseball, many teams didn’t even make it to the field for 2009, as a number of clubs folded up shop early in the year. Even in a downturn, consumers will still buy tickets that represent good value to them. 2010 Winter Olympic tickets were scooped up quickly, obscure events and all. With its loyal fan base, the NHL survived the 2008-09 season remarkably unscathed. How will the CFL fare this year? Can Hamilton ride out a rebuilding team and a poor economy? As a whole, the CFL is better positioned to survive this downtown than the last one in the early 1990s. Ownership across the league is more stable, marketing has improved, and revenue streams have been diversified. Still, there are potential trouble spots, most notably Hamilton. 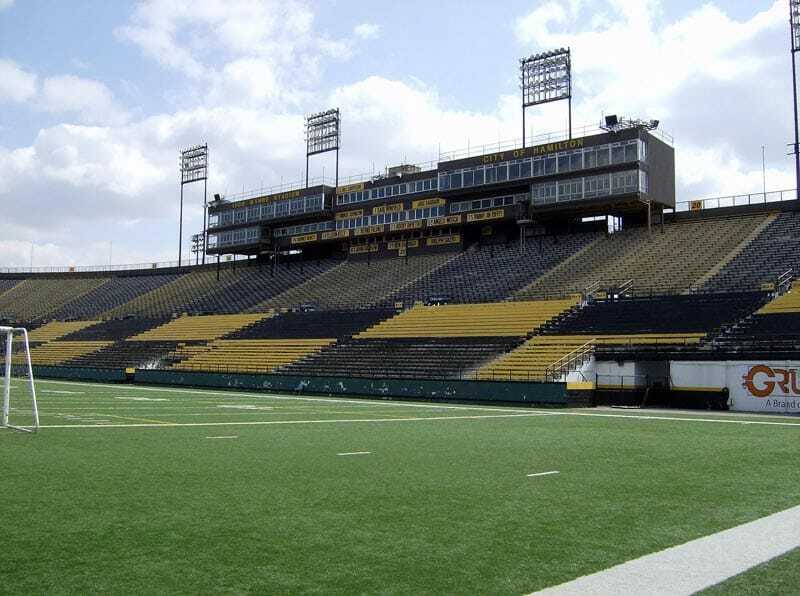 A lengthy streak of losing seasons, combined with a badly faltering local economy, could spell trouble for Steeltown attendance. Around the lake in Toronto, the Argos are facing their usual fight for fan interest in the most competitive sports market in Canada. A tough Southern Ontario economy hurts the Argos in 2009 as well. Finally, what about the Lions? Again, the Lions are light years ahead of where they were in the early 90s, in the depths of Murray Pezim’s reign of error as owner. David Braley, the late Bob Ackles and Wally Buono have made the Lions a model organization, but even at that season ticket sales are slightly behind those of 2008. How will single game sales go, especially if the club struggles on the field somewhat? After years of growth and positive stories, the CFL may have to retrench slightly in 2009, and perhaps into 2010 as well. It just wouldn’t be the CFL we love if we didn’t have a challenge to tackle.